Monday – Thursday 8:30 a.m. – 6 p.m.
Friday – 8:30 a.m. – 4:30 p.m.
TRiO is a federally funded program sponsored by the U.S. Department of Education that identifies promising students and prepares them for college level work. 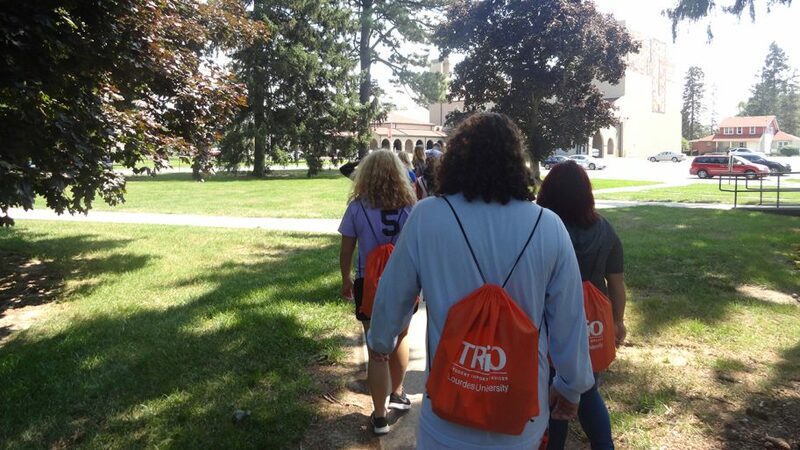 TRiO specifically serves students who are first generation (one of your parents has not graduated from college), low-income, and/or disabled. Studies have shown that students are more likely to achieve academic success when provided additional support services. The program provides information about career and financial aid opportunities, offers academic assistance such as tutoring, mentoring, and supplemental instruction, and provides the opportunity for cultural enrichment. Please complete and submit an Application Form.